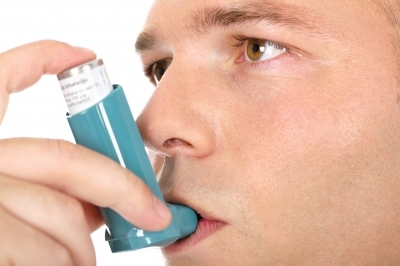 Home » solution » Why are Asthma Inhalers So Expensive? Why are Asthma Inhalers So Expensive? The corollary to the expensive question and more relevant to patients being which ones are the cheapest? Given I'm an ENT, asthma medications are a class of medications I have not immersed myself in with respect to the minutiae of cost and optimal prescriptions... until now (at least to some degree). And given I personally did know this information until I took the time to investigate, I figure patients would be even more in the dark. Here are some things I've discovered. There are only TWO generics available, the rest being BRAND name drugs which account for much of the high cost. Thankfully, one is a rescue inhaler based on albuterol and the other is a albuterol/steroid combo which can be used for maintenance. Xopenex HFA generic is technically not albuterol, but is similar to albuterol called levalbuterol. There is NO generic albuterol inhaler at this time. AirDuo RespiClick generic is made of fluticasone propionate and salmeterol inhalation powder used for the therapeutic maintenance of asthma similar to Advair which is a brand name drug. To give an idea of the cost differences, I used GoodRx's database which provides a good reference point regarding cost among different drugs like inhalers. Of course, when you add insurance, the cost can be quite different for a given individual patient (even free), but like I said, all other things being equal, GoodRx provides a reference starting point for cost comparison's sake. Database accessed 2/9/18. I selected Qvar for brand name comparison, because it is the cheapest among the brand name steroid inhalers. Advair which would be the equivalent drug comparison costs $399.73. I selected Proair as the albuterol brand given it is typically the cheapest compared to other albuterol inhalers like Ventolin and Proventil. Here's the crazy thing... Even though there are NO generic albuterol and steroid alone inhalers, there ARE generic nebulizer solutions for both. Albuterol nebulizer solution (25 vials), cost is ~$9. Budesonide (steroid) nebulizer solution (30 vials), cost is ~$92. Of course, you would have to purchase a nebulizer machine and all its accessory components which might be covered by insurance. However, most people just purchase their own over-the-counter. Even Amazon sells nebulizer machines for not unreasonable prices. Before 2008, there were plenty of generic albuterol and steroid inhalers. However, these inhalers used a propellant called CFC (chlorofluorocarbons). Chlorofluorocarbons deplete the ozone layer and have been gradually phased out of use since 1987, but until 2005, the Food and Drug Administration had said CFC inhalers were essential medicines, so they were exempt. But the FDA reversed that decision in 2005 at which point CFC inhalers were no longer being manufactured and completely phased out by 2008. CFC inhalers were replaced by HFA inhalers which are currently in use today. Problem is HFA inhalers are under patent and therefore more expensive. Patents last 10 years before they expire and generics allowed to be manufactured. As such, the year 2018 may be the tipping point when many of the patents expire for asthma HFA inhalers and we should start seeing more generic versions being sold in the next few years beyond the two that currently exist. Given asthma nebulizer solutions do not use any type of propellant, they were generic both before and after 2008 when inhalers were transitioned from CFC to HFA.